Here are more details about each of those 4 types of analytics. For every message, you can see top level stats, or dive in by clicking on any of the figures. You can also take action and follow up with a specific subset of your message recipients, based on how they engaged with your message. 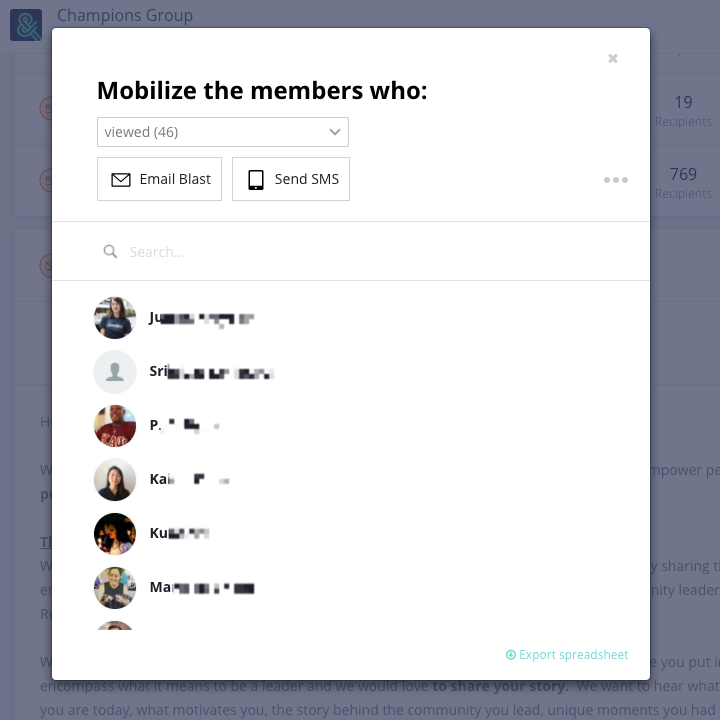 The follow up action can be an Email Blast, an SMS, or you can add them to another group. 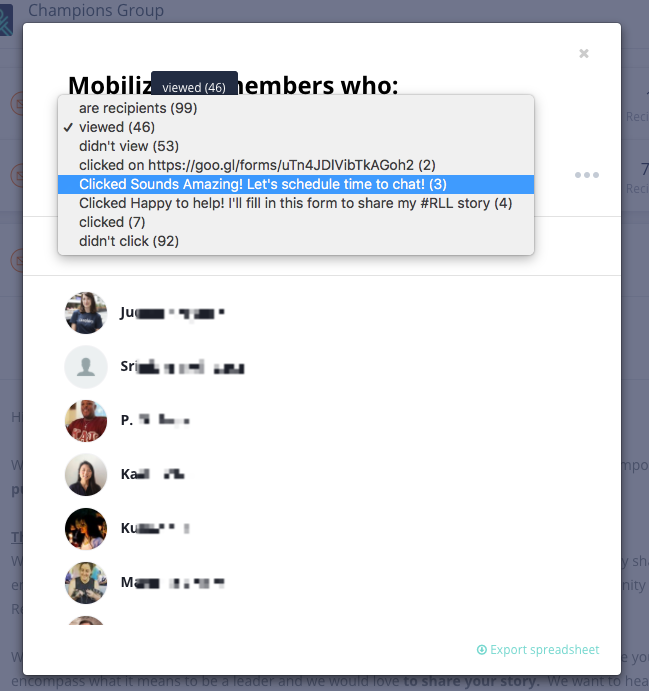 In the drop down menu of Mobilize the members who..., you can see all possible engagements to update the member list below. You can even poke the people who didn't engage! What does most active mean? 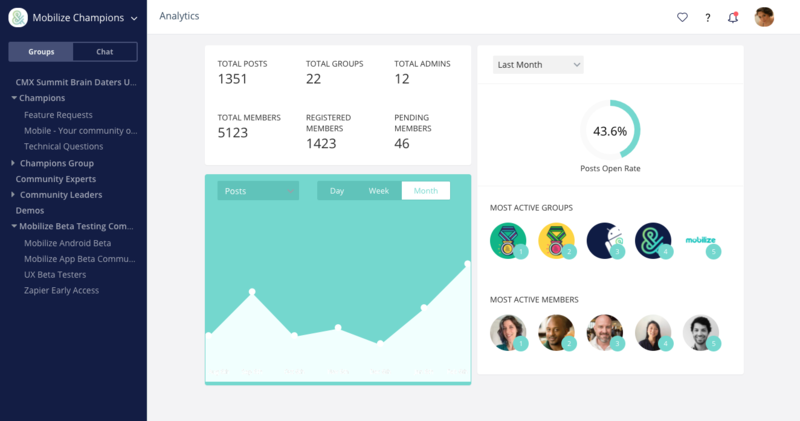 The status of "most active" refers to all activities excluding view, i.e. did the member click, reply, RSVP, post, etc. 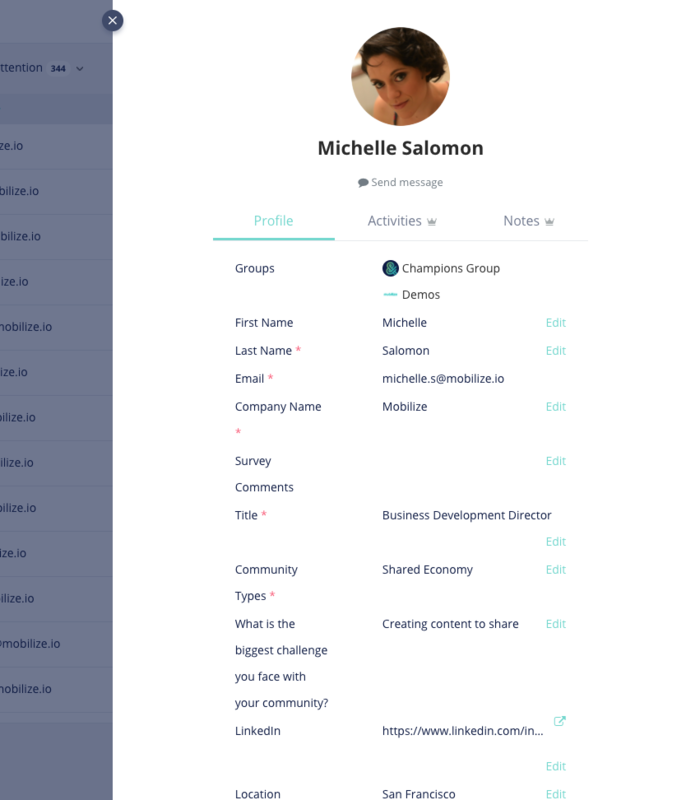 In your manager's Member Database, you can see columns for Lounge Emails and Manager Emails. Here you can filter subscription status by Subscribed (Instant), Daily Digest, or Unsubscribed (Never) across all members in that group.